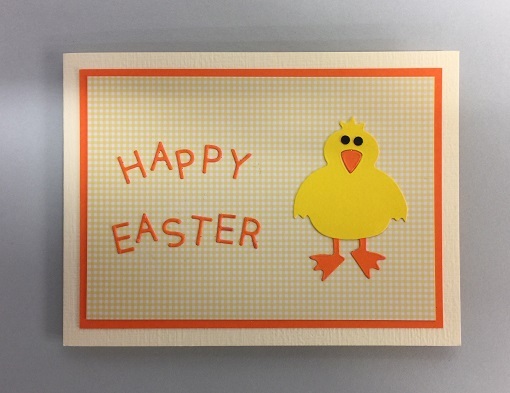 Easter is fast approaching but you still have time to make those handmade cards! 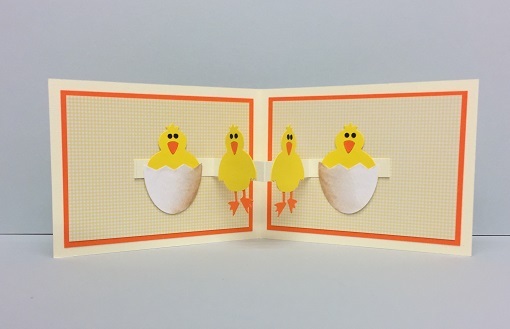 Take some inspiration from Jane Collman with this fun Easter design! Make a 6" x 4 1/4" landscape base card from Cream Hammer Embossed Cardstock. Cut 3 pieces of Tangerine Card 5 1/4" x 3 3/4" and 3 pieces of the Yellow Gingham Card 5" x 3 1/2"
Layer all pieces together using Tape Runner. Die Cut letters from Tangerine Card and arrange on card. 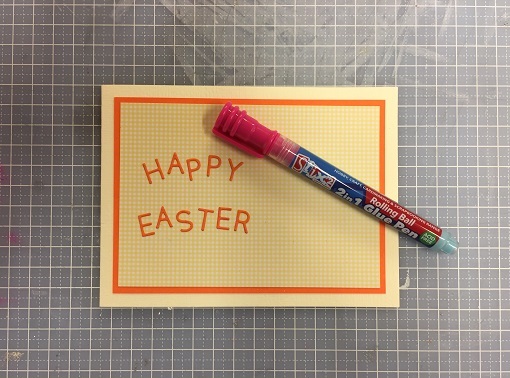 The Glue Pen is perfect for sticking your tiny letters/embellishments. Don't worry if you can't get letters straight, wonky is good! 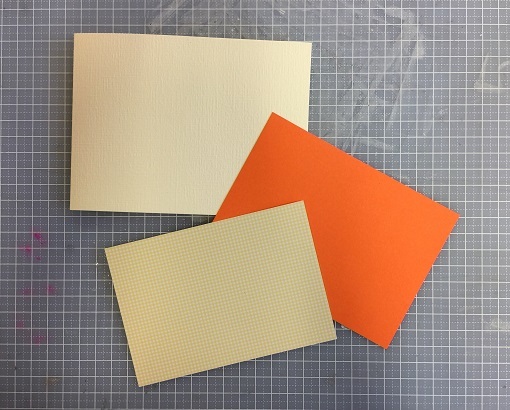 Layer cardstock and add to inside of the card. 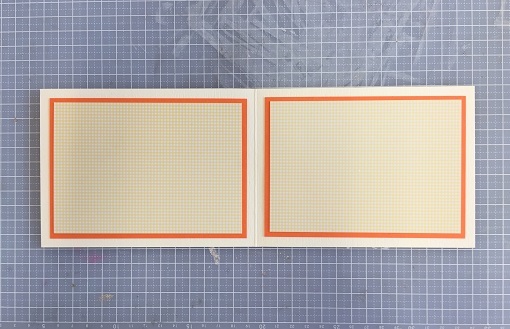 Cut a strip of the Cream Hammered Card 1/2" x 8 1/2" long. 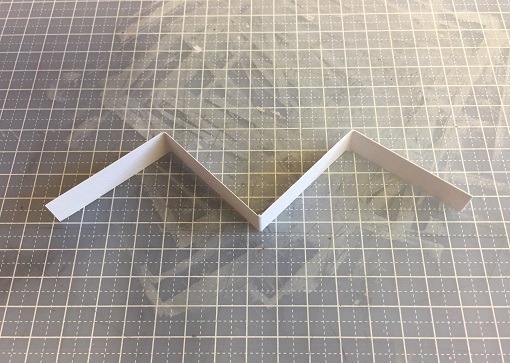 Fold every 2 1/8" and with Tape Runner, stick to inside of card as shown in finished picture. 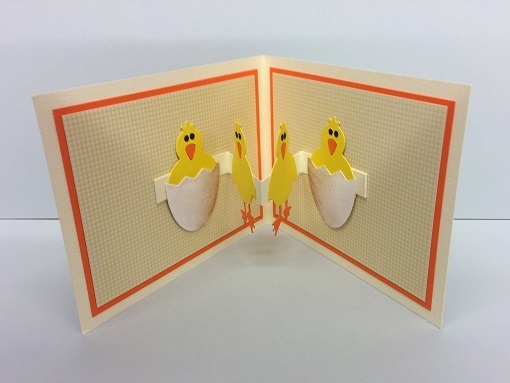 To complete card, die cut chicks and add to card as shown. For cracked eggs, cut an oval die shape in half and place chick behind. What an egg-cellent Easter idea! For more lovely projects by Jane, please visit her blog.